Organisers of the Ifeanyi Okowa Annual Football Tournament have described the personal attendance of the Delta State Governor at the finals of the 2017 edition as a way of promoting grassroots sports. Governor Okowa was accompanied by his wife, Edith, pioneer chairman of the League Management Company, Nduka Irabor and his wife, Ebelle, as well as top community leaders in Ikaland to the event held at the Agbor Township Stadium on December 30 as part of the community’s Christmas and New Year celebrations. The 5th edition of the tournament saw Boji Boji Urban (Ward 7) defeat Abavo (Ward 11) 6 – 5 to cart home the cash prize of N1m and a giant trophy. Both teams had held on the stakes, unyielding to each other to end nil-nil at regulation time and thus went into straight penalty shootout which dramatically went into sudden death. 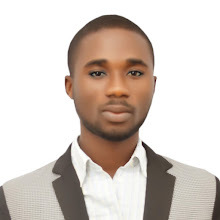 Abavo lost on the 6th kick to finish as first runner up for a cash prize of N500,000. Earlier in the proceedings, Umunede (Ika North Ward 11) had defeated their Ward 6 opponents (Ofien/Owaekie/Alizomor) in the third place match to go home with N300,000. 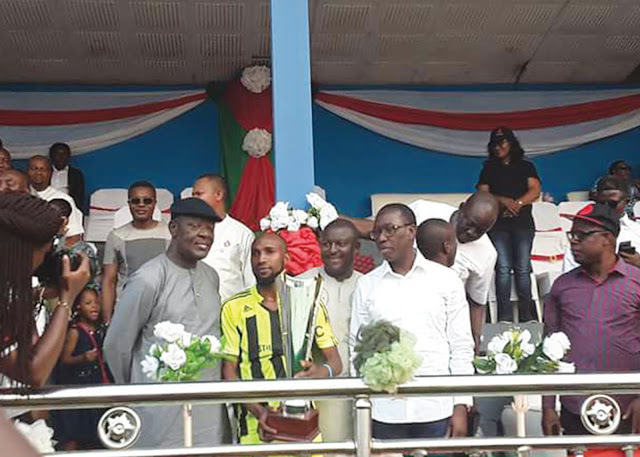 Former national player and head of the Organising Committee, Lucky Sunday, said the tournament ended on a glorious note with huge attendance by members of the community and the physical presence of Gov Okowa putting icing on the cake. “This tournament is about community life. Yes, it provides space for youngsters to showcase their talent, but it is more about maintaining a platform to constantly bring our people together. We can celebrate the season individually at our family levels but you can see that sports brings us all together,” Sunday said. Also at the event were former speaker of the Delta State House of Assembly, Hon Martins Okonta, Chairman of the Delta State Sports Commission, Tony Okowa and his Director General, Victor Onogagamue, Ika South representative in the DTHA, Hon Chukky Dandy, and former Chairman of the Lagos chapter of the Sports Writers Association of Nigeria (SWAN), Fred Edoreh.